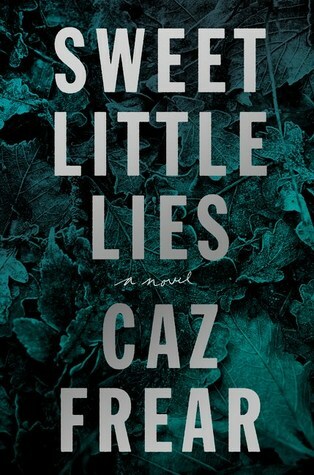 Sweet Little Lies by Caz Frear has an expected publication date of August 2018 by Harper and is a mystery crime thriller. What happens when the trust has gone? Cat Kinsella was always a daddy’s girl. Until the summer of 1998 when she sees her father flirting with seventeen-year-old Maryanne Doyle. When Maryanne later disappears and Cat’s father denies ever knowing her, Cat’s relationship with him is changed forever. Eighteen years later, Cat is now a Detective Constable with the Met. Called to the scene of a murder in Islington, she discovers a woman’s body: Alice Lapaine has been found strangled, not far from the pub that Cat’s father runs. When evidence links Alice to the still missing Maryanne, all Cat’s fears about her father resurface. Could he really be a killer? Determined to confront the past and find out what really happened to Maryanne all those years ago, Cat begins to dig into the case. But the problem with looking into the past is that sometimes you might not like what you find. About the author: Caz Frear grew up in Coventry, England, and spent her teenage years dreaming of moving to London and writing a novel. After fulfilling her first dream, it wasn’t until she moved back to Coventry thirteen years later that the writing dream finally came true. She has a degree in history and politics, and when she’s not agonizing over snappy dialogue or incisive prose, can be found shouting at Arsenal football matches or holding court in the pub on topics she knows nothing about. I was looking through some of your blog posts on this internet site and I think this website is very instructive! Continue putting up.